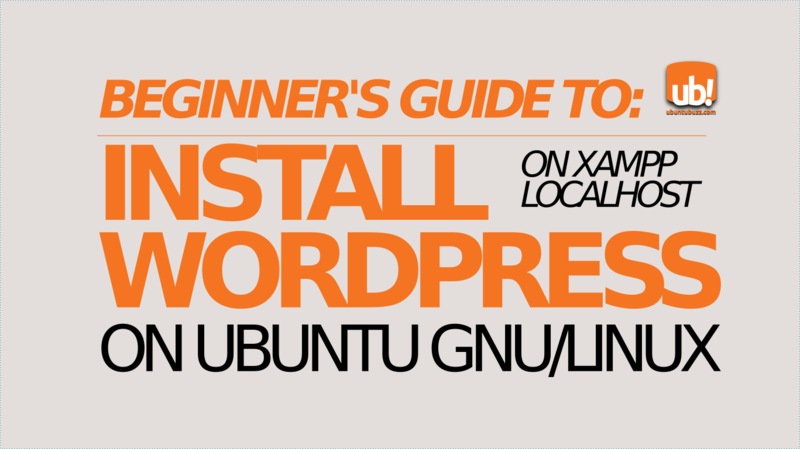 This simple tutorial explains how to run WordPress on XAMPP (Apache, MariaDB & PHP) locally on Ubuntu GNU/Linux 64 bit. You can apply this tutorial for Mint, elementary, BlankOn, or any other GNU/Linux distro. However, if you have 32 bit computer, you cannot use XAMPP. The most important step here is number 4 which is doing chown over 'wordpress' directory for Apache's user account. Finally, I hope this will be easy for all beginners. Happy learning! Because it's instant. 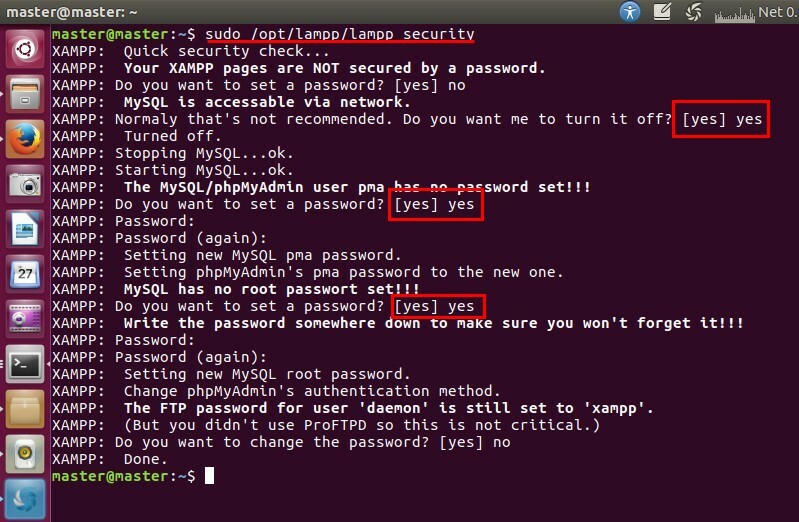 If you need to merely learning PHP/MySQL locally, XAMPP is very suitable. However, XAMPP is not the only solution as you can install Apache & MariaBD manually. The software, WordPress, is actually a collection of PHP source code that integrated to form a website management system (WMS). You should not confuse WordPress (the software) with WordPress.com (the web service by Automattic). You can download WordPress as a package (either on ZIP or TAR) from WordPress Software Project website https://wordpress.org/download. At the time I write this article (June 22nd 2017) it reached version 4.8. 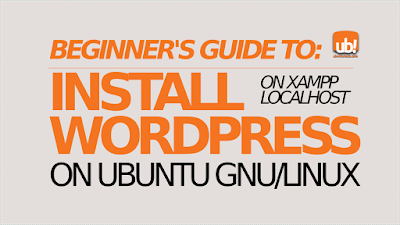 Follow this XAMPP Installation Tutorial. Please be aware this is only for 64bit computers. Place the WordPress package on your $HOME. Right-click > extract it. 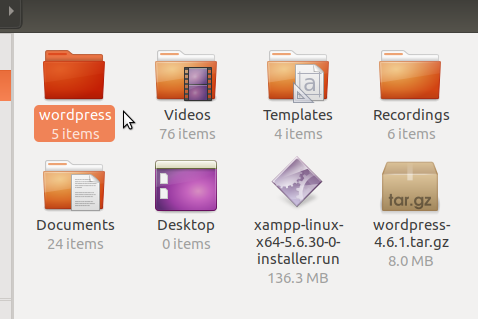 This should give you a 'wordpress' named folder there. 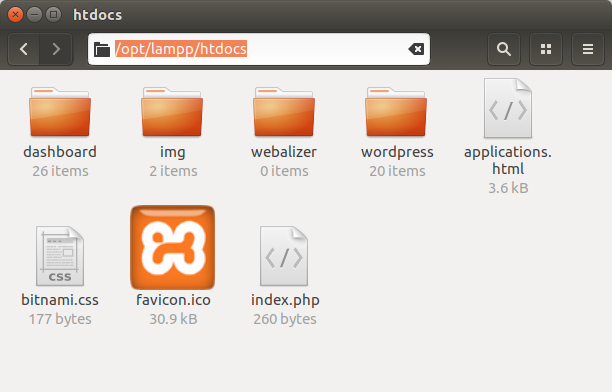 Now check the target directory and you should find /opt/lampp/htdocs/wordpress. The most important thing now is changing ownership of the whole 'wordpress' directory to be owned by the user of XAMPP's web server. and you should see at the most left column the username "daemon". This is the username your XAMPP used to run Apache Web Server (the /opt/lampp/bin/httpd). Now, close Terminal and you can head to browser by typing http://localhost/phpmyadmin. Login with the password you've set by yourself at Step 5. 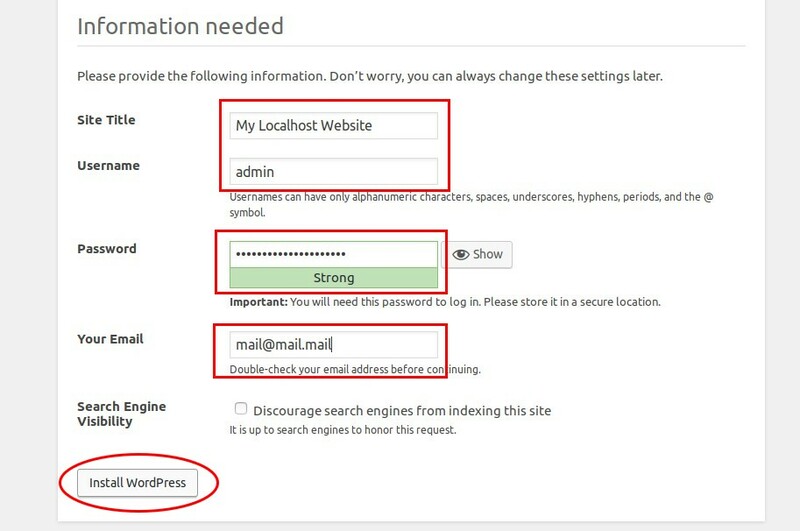 Go to database page and create a new database with the name 'wordpress'. 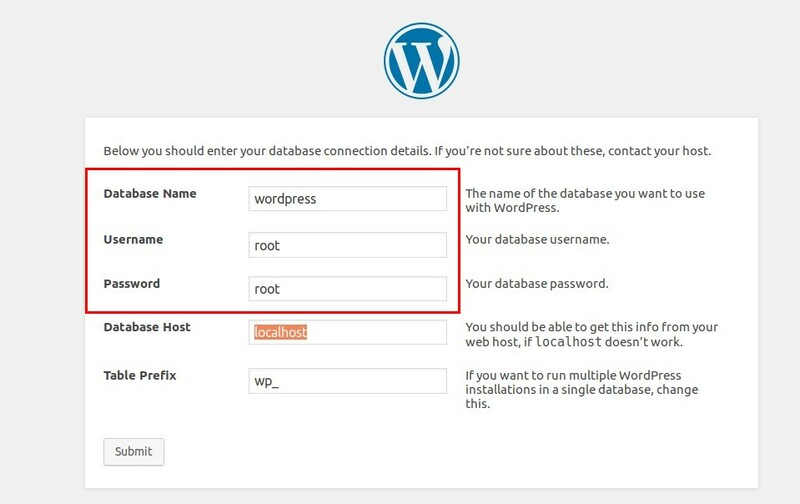 The last step: now visit the address http://localhost/wordpresss > go forward > fill the blanks with Database="wordpress"; Username="root"; Password="root" just as examples you've followed before. See picture below. When it works (because you've already set chown wordpress/ folder) you'll fill the website info as you wish. Determine username and password as you wish. Once finished, now visit the address http://localhost/wordpress. You should see the home page of the WordPress site. To manage it, login to Dashboard at the address http://localhost/wordpress/wp-admin. It's all completed and have a good learning with WordPress!